Shipping - Every Order Handled With Care! 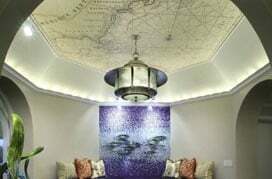 At MagicMurals.com, we take great pride in our murals and that includes making sure they get to you quickly and safely. Your wall mural will be custom printed to your exact specifications within 2 to 3 business days of receiving your order. We strive to make sure our murals arrive at your home in the same condition they left our shop. Following inspection, murals are carefully rolled and packaged inside a hard shipping tube for protection. In the rare event a package does arrive damaged, please contact us by email or call 877-448-7295 to report the problem. We offer free domestic ground shipping in the contiguous 48 states via USPS and FedEx. We automatically compare the best options and choose the fastest and most reliable carrier for delivering your mural from our facility to you! This ensures your package arrives in a timely and efficient manner. * If you receive US Mail at a PO Box, please be sure to include the PO Box address in addition to your physical address in the appropriate field when checking out. Have an important deadline on that special project? We're here to help by offering expedited shipping to meet your timeline. All murals are custom printed on-demand. Please allow 2-3 business days for production before shipping. We value the opportunity to serve customers around the world. In fact, our customers proudly display Magic Murals on all 7 continents – including Antarctica! 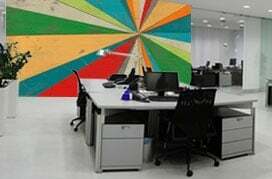 We have the experience and resources to custom print and deliver your mural in a timely and efficient manner, no matter where you are. With the US Postal Service and FedEx, we can ship our murals to over 220 countries and territories worldwide. Shipping times vary with speed of service. All shipping rates are calculated based on the size of your mural and the specific shipping destination. To get a quote for international shipping, simply add the mural to your cart and proceed to the checkout page to view available shipping options and pricing. ** Please note that any additional duties, taxes and fees may be incurred by your Country of Import and are not the responsibility of MagicMurals.com. All additional fees, duties, taxes will be paid by the customer at the time of clearance. Contact your local Customs office for additional information about these possible charges. No duties on our products into Canada, but subject to your provincial taxes and fees. No duty fees up to $1000 AUD of product value but subject to your local taxes and fees. All additional fees, duties, taxes will be paid by customer at the time of clearance. Contact your local Customs office for more details. If you have any questions or need further assistance, do not hesitate to get in touch with us. You can reach us via LIVE CHAT, email or call 877-448-7295. We look forward to serving you soon!